This PDF 1.5 document has been generated by Adobe InDesign CS5.5 (7.5) / Adobe PDF Library 9.9, and has been sent on pdf-archive.com on 17/08/2015 at 16:15, from IP address 83.42.x.x. The current document download page has been viewed 3195 times. File size: 3.1 MB (68 pages). ambitious but feasible sustainable development goals (High Level Forum on Sustainable Development, 2014). for poverty eradication and global sustainable development (UN General Assembly – OWG on SDGs, 2014). water should be central to the integrated planning and development processes (GWP, 2013). business and other stakeholders in the construction of sustainable development pathway. common public goods that must be protected and restored. sustainable development will require international support and cooperation. - Transparency and accountability must underpin all financing to enhance legitimacy and effectiveness. and different aspects of water resources management. attainment of most, if not all, development objectives. increasing recycling and safe reuse by x% globally. improving water and sanitation management. 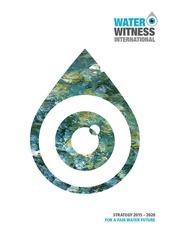 in April in Daegu (Korea) and the World Water Week in August in Stockholm. Water Monitoring Initiative (GEMI). Synergetic efforts can also be contemplated with parallel initiatives in this field (e.g. 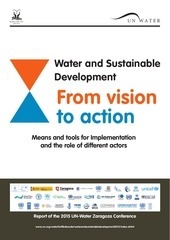 OECD’s ongoing development of water governance indicators2 or UNEP3). continuity. On Methods of Implementation we use UN Water’s approach as stated at the General Assembly in April 2015.
innovation; finance; policy and institutional coherence; multi-stakeholder partnerships; and capacity-building. as a driver of human development and sustainability (GWP, 2013). extended knowledge on their fundamentals. and skills that surround its deployment and use. past to bridge the existing gaps, but will also come with more and more sophisticated financial and economic instruments. water development still are significant. risks. Financial needs differ across countries and regions. can only be performed by governments. Beyond naturally created problems, water crises are water governance crises. water quality, tackling water scarcity challenges in an integrated manner and responding to current and future risks. 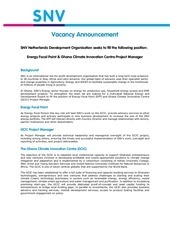 capacity, including planning, management and monitoring capacities. environment as well as the untapped ability of volunteerism to engage and benefit all segments of society. different actions in this regard. of policy advice – must be developed and put in place” (UNDP and AEPC, 2010). This file has been shared by a user of PDF Archive. Document ID: 00296137.